You could be one of the first contestants to enter the villa in Love Island 2019 – applications are open already! Do you have eight weeks spare to spend lazing around in the sun? Can you see yourself as a founding member of the 2019 Do Bits Society? Do you just love drama? If the answer is yes, you need to apply for Love Island 2019. Applications for the next series of ITV2′s much talked about reality TV show are open now, immediately after this year’s series came to a close. 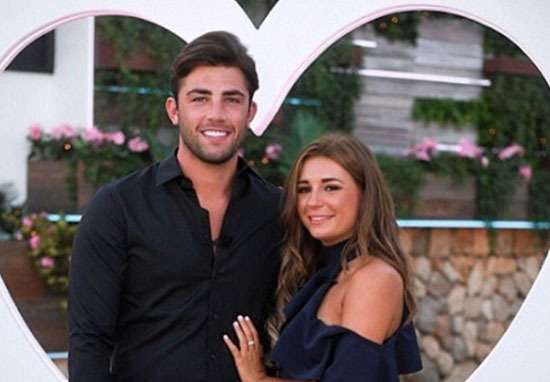 The final of Love Island 2018 aired last night (July 30), and saw Dani Dyer and Jack Fincham crowned the winners. The couple won the hearts of the public by staying together throughout the whole series, despite producers throwing curveballs at them – like the entrance of an ex-girlfriend, and a lie detector test. They coupled up on day one, and smashed down every hurdle that got in their way. Dani and Jack are your very worthy winners of #LoveIsland 2018! ?? It has been revealed in the past that a few of the contestants who appeared on the show were scouted by producers – the Mirror report that producers found some Islanders on social media, or through scouting them in clubs. But don’t worry, your Instagram account doesn’t have to be made up of ‘fire’ posts to allow you to get on the show, because there is another way in – the applications. ITV2 are looking for vibrant singles from across the UK who want to head to the sun, in search of a summer of love. The chosen cast will spend time in a luxury villa, getting to know one another – but to remain in paradise, they must win the hearts of the public who ultimately decide who stays on Love Island. As long as you’re 18 or older, have a valid passport, and don’t already work, or who have family who work for, ITV, you’re all set to put your name forward as the newest Islander. The application form warns those interested that they will ask about your dating history – so if you had the idea of applying to help move on from an embarrassing past dating disaster, maybe let go of that hope and be prepared to dredge it up again. We have a ‘Love Island privacy notice’ which deals with the sensitive information about you which we will need to ask you for (and/or which you may tell us about) during the casting process and making of the show, such as questions about your previous dating history and preferences which are of course at the heart of the show. Of course, there is also always the option of using cunning connections to help boost your chances of appearing on the show, like 2018 contestant Georgia Steele did. According to the Mirror, Georgia actually found last year’s winner Amber in a bar, and asked her to put in a good word with ITV2 for her. So it’s basically Amber’s fault that we heard the word ‘loyal’ so many times this season. While this method might be more direct, Dani and Jack might find it a bit creepy if you pop up behind them in a bar and request their help. The online application form is probably the simpler option. Apply for Love Island 2019 here.